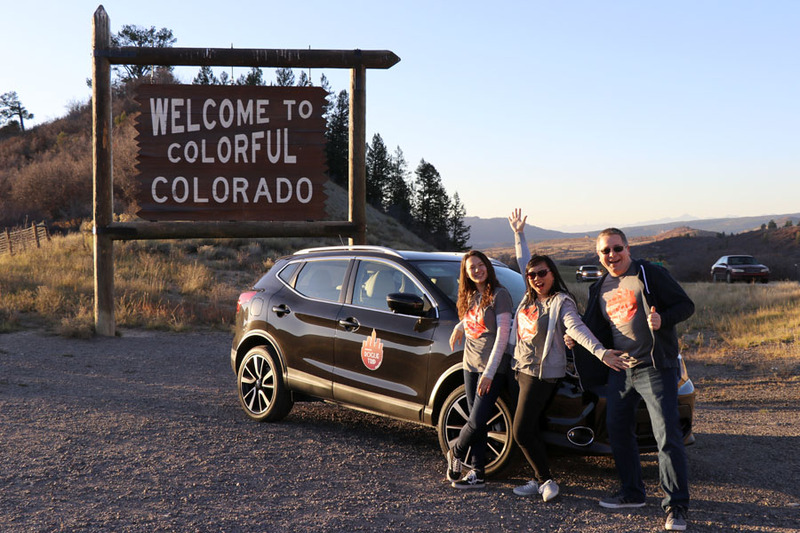 It has been a couple weeks but we are only now recovering from our whirlwind trip to New Mexico and Colorado in a 2017 Nissan Rogue Sport. We had a ton of fun but we were wiped out after covering over 400 miles in 2-1/2 days (not including air travel time). That is definitely not enough time to fully explore the area. But, it gave us a nice taste of what to check out on future visits. Also, Frans didn’t get sick during the whole trip — yay for celiac friendly (gluten free) restaurants! 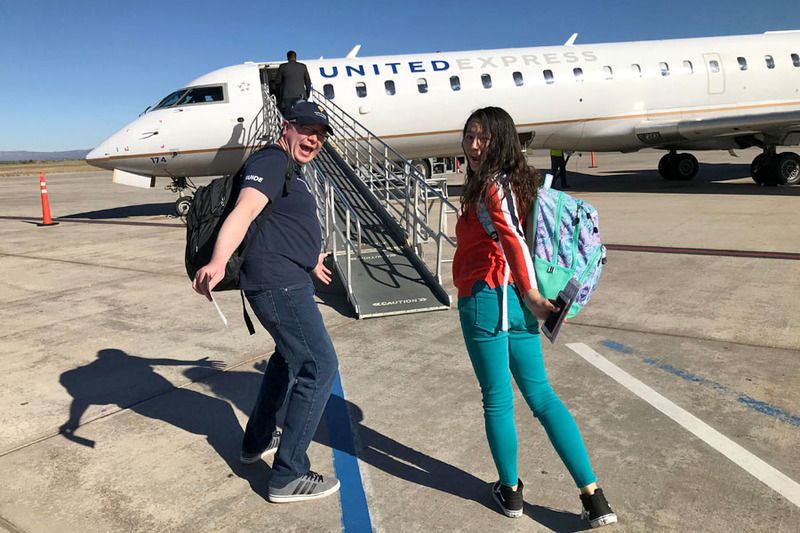 As soon as we landed in Albuquerque, New Mexico, we set out to find our ride for our family road trip. The black crossover was easy to spot with the very visible #RogueTrip signs (clever branding). 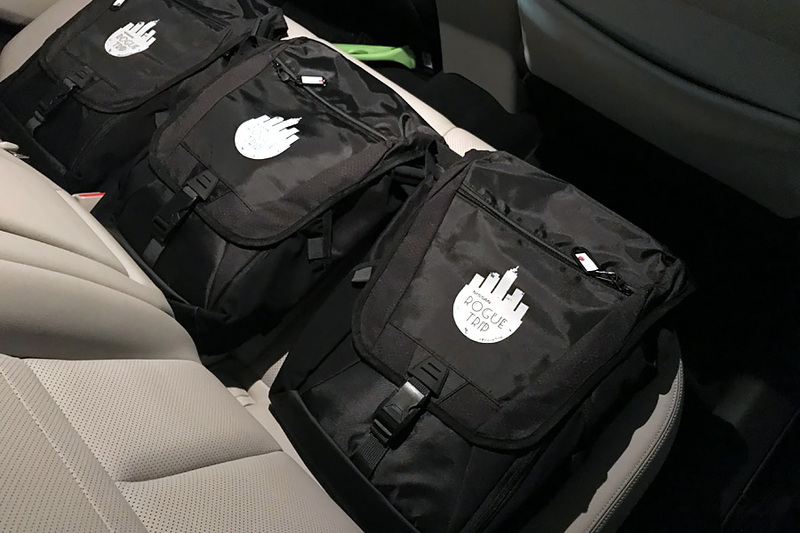 A personal backpack was waiting for each of us on the rear seat. I thought it was so thoughtful that the Nissan team included an adult coloring book and pencils for my daughter to enjoy during the trip! Lodging: Hotel Andaluz, Studio Double Room — Unique boutique hotel and super friendly staff. 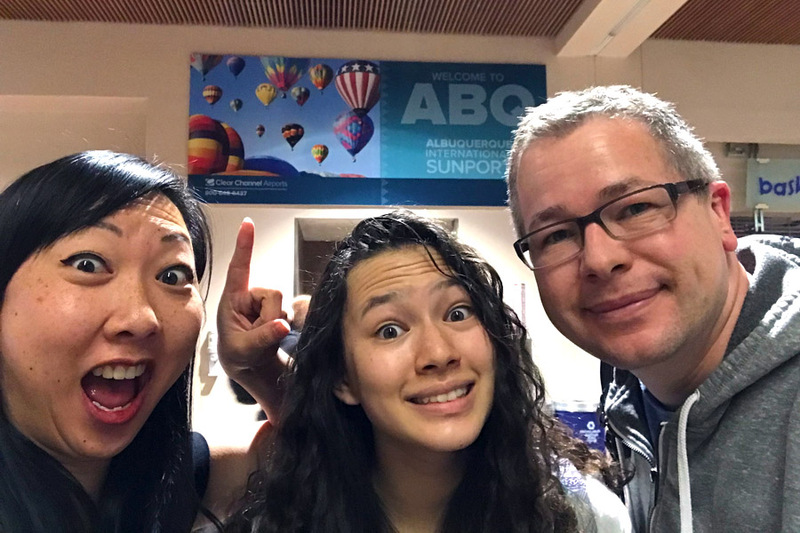 We were up bright and early the next day to attend the 2017 Albuquerque Balloon Fiesta. If you ever get the chance, definitely try to go at least once in your life. After brunch, we next put Kasha-Katuwe Tent Rocks National Monument into the Rogue Sport’s navigation system. Due to max capacity and washed out overlooks, we had to skip this and continue on to Santa Fe. 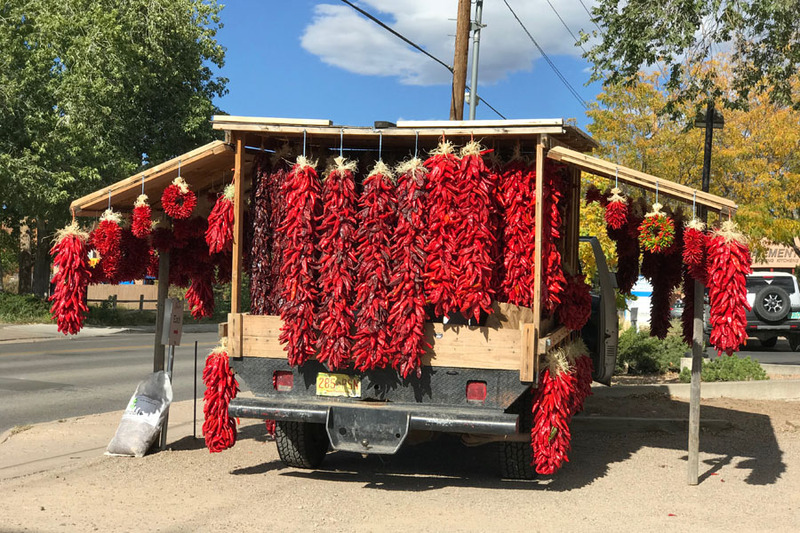 Santa Fe was a nice town full of character… and chile peppers. 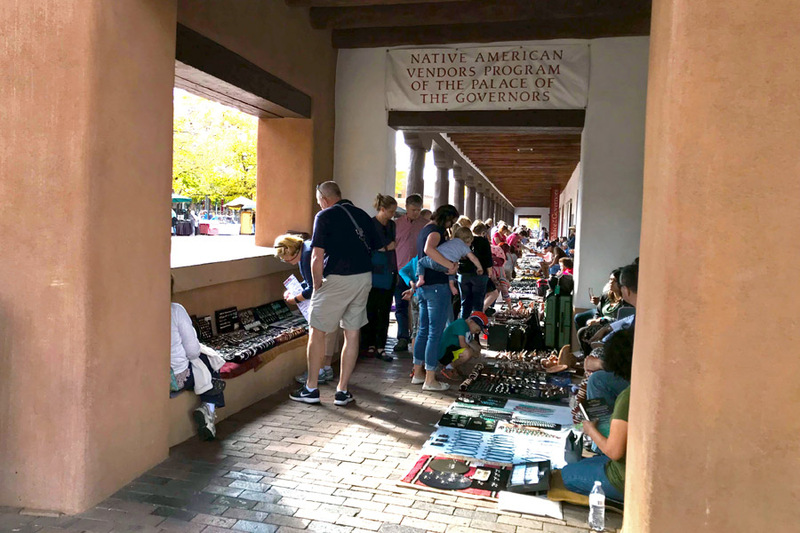 After we browsed the native-made wares for sale at the Palace of the Governors, we jumped in the car again. On the way, we were stuck in some bad traffic due to a major accident on the highway. 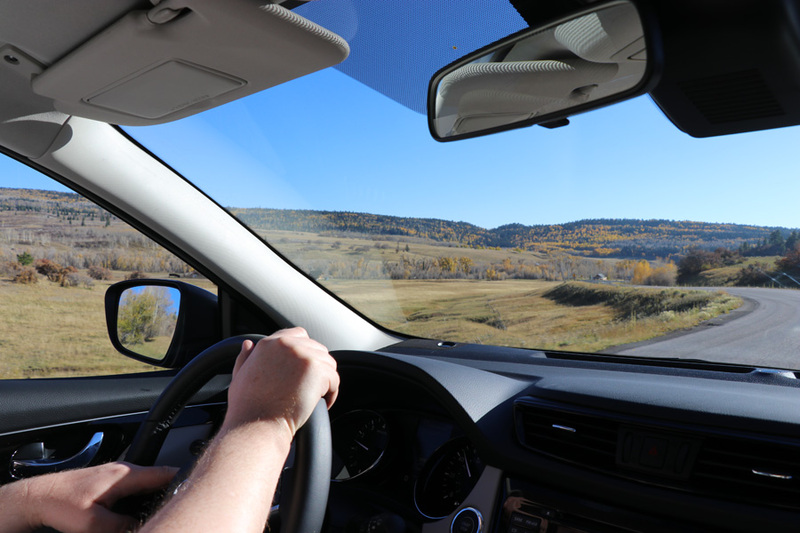 The Intelligent Cruise Control came in handy as it slowed down or sped up in response to the car in front. 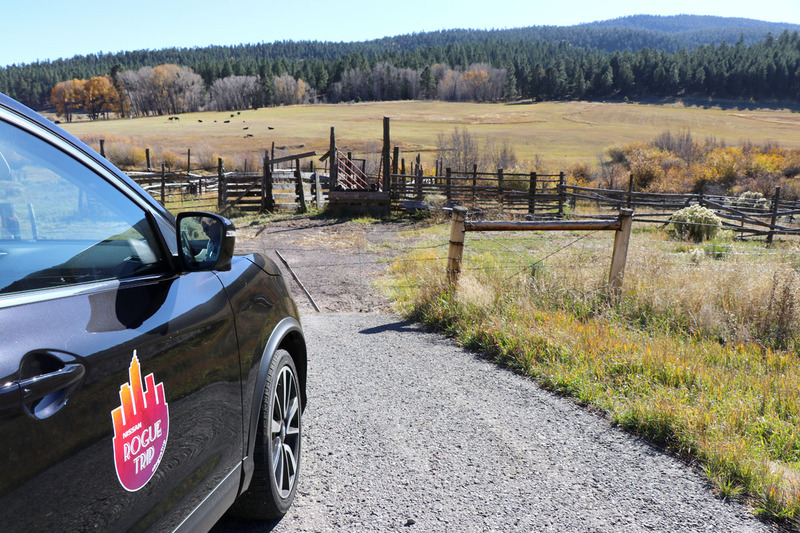 The High Road to Taos brought us to, well, Taos. It was more scenic than the standard route but became more challenging as it got dark. Frans loved the High Beam Assist. He didn’t have to fuss with turning the high beams on and off every time there was an oncoming car since the Rogue Sport did it automatically. After an AMAZING dinner at La Cueva Cafe, it was time to head to our lodging for the evening and hit the hay. Breakfast: Albuquerque Balloon Fiesta Gondola Club — Food was okay but it was hot and had many options. Lunch: Tia B’s Waffleria in Albuquerque, NM — Allergy friendly but dry, tasteless waffles and it took two hours to get our food. Skip this and try Weck’s instead (highly recommended by locals). Dinner: La Cueva Cafe in Taos, NM — Fabulous service, delicious meal, and super attentive to accommodating all food allergies. Lodging: Hacienda del Sol Bed & Breakfast, Taos Suite — Roomy with cozy southwestern style. Still recouping from the long day previous to this, we moved at a snail’s pace the next morning. Fortunately, the dining area was right next to our room and we enjoyed breakfast at our leisure. If we had more time, I would have loved to see more of Taos. The buildings were all adobe style and the whole town had so much character. After packing up, it was time to visit Taos Pueblo. This is a UNESCO World Heritage site with native families still living there. A post on that is coming soon (as soon as I sort through the photos and video). 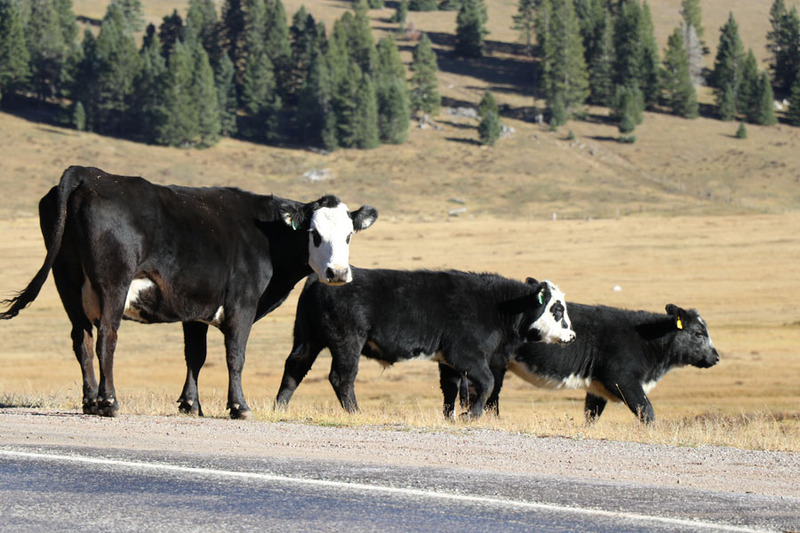 Then it was time to head north into Colorado. This leg of the trip took a bit longer than we expected thanks to a late start and several photo ops along the way. 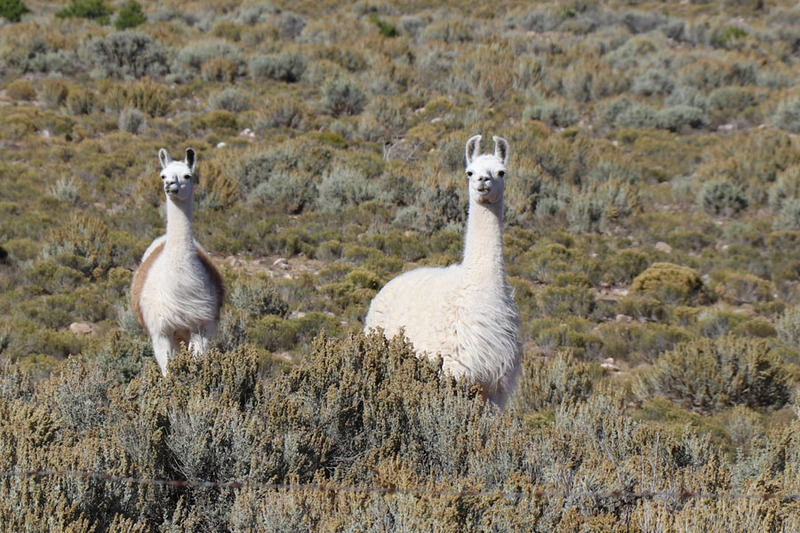 Bridges, llamas, Earthship homes — oh my! 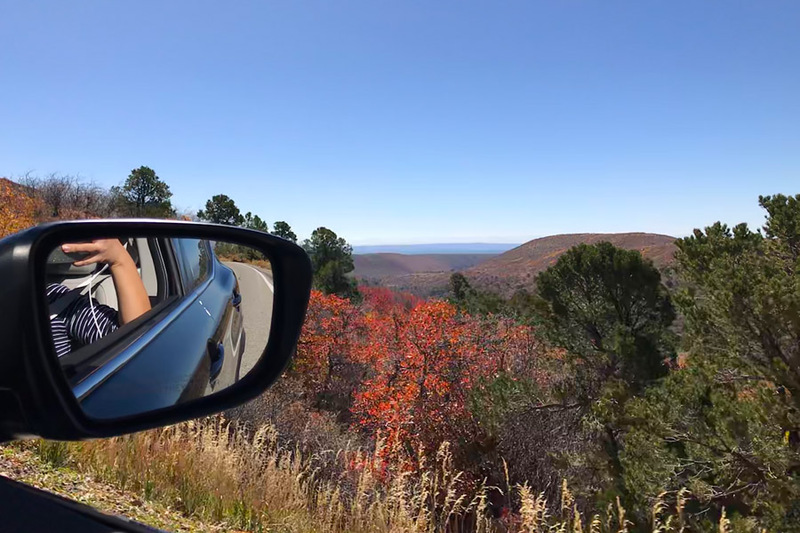 We also needed to stop to admire the changing landscape and the mandatory state signs. So ironic how NOT colorful that “Welcome to Colorful Colorado” sign is?! We hoped to take a dip in the natural mineral pools in Pagosa Springs. But, due to the sun setting, we opted to head straight on to Durango. Temperatures took a steep dip that night so we kept the Rogue Sport’s heater on high and activated the heated front seats and steering wheel. Ooh, it felt sooooo good! Breakfast: Hacienda del Sol Bed & Breakfast — Simple but tasty. Make sure you let them know ahead of time if you have food allergies. Lunch: Chips from the gas station and snacks we brought from home. FYI, we only had to fill up 1/2 tank to drive the 400+ miles. Dinner: Carver Brewing Company — Okay but nice selection. Lodging: General Palmer Hotel — Historic western/victorian style but the vintage elevator was kind of scary. Oh, and the heater was broken…brr. 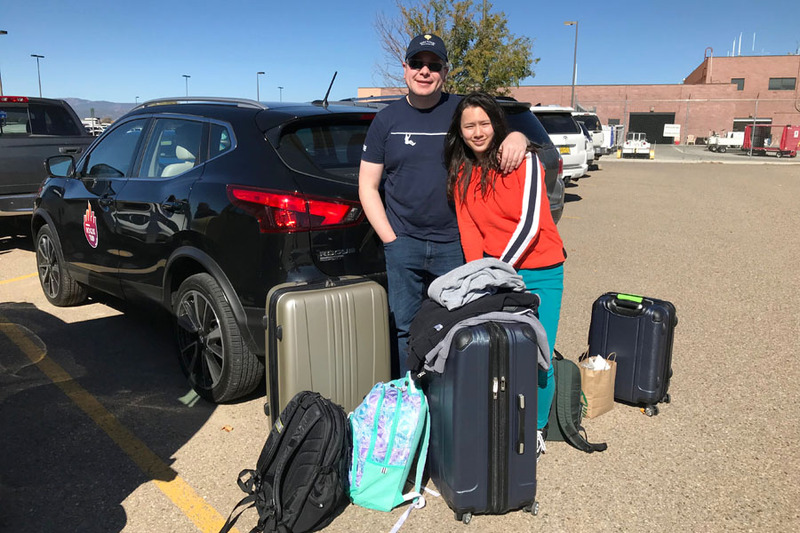 As soon as our tour was over, we hopped back in the 2017 Nissan Rogue Sport and headed for the airport. We had just enough time to rearrange our luggage and check in at the gate. As expected on all our travels, we had several “bumps” but it all turned out fine in the end and we had fun. 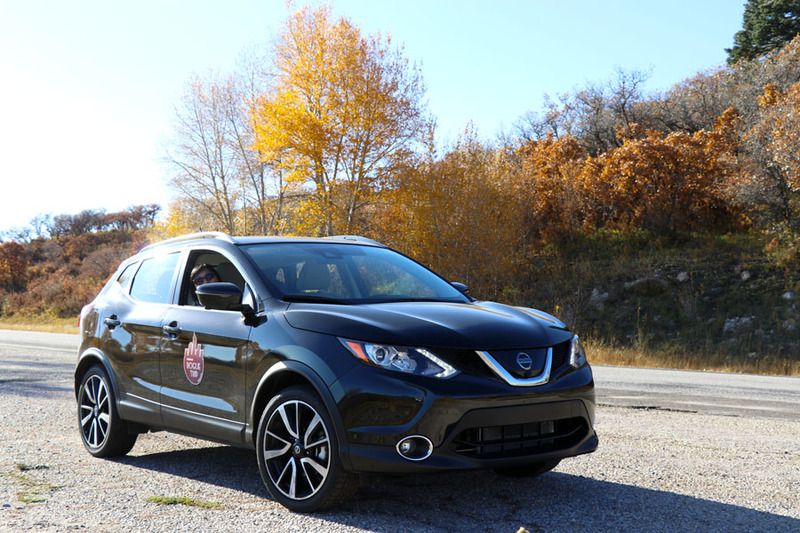 The 2017 Nissan Rogue Sport offered a smooth ride and we were comfortable the entire time. The crossover had good visibility, light handling, nice tech features, and we were able to hide most of our luggage under the cargo cover. I only wish there were more USB ports to charge our devices along the way and a bit more horsepower to tackle those mountain passes. We are extremely grateful to Nissan for hosting our family #RogueTrip and for making so many new memories possible. 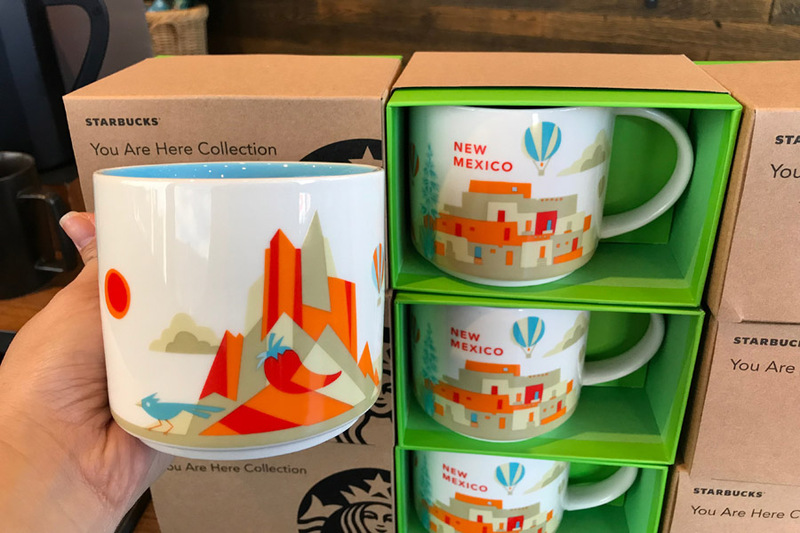 Every time we look at our New Mexico and Colorado souvenirs, we’ll remember our fond first visit there! My family and I were invited on an all-expense paid road trip with a loaned vehicle for review purposes. All opinions are my own.